Joyetech eCab Storage Case can hold a whole ecab kit and a spare Joyetech eCab 360mAh Li-ion battery. It is also suits for Joyetech 510 or eRoll mini e-cigarette. 6 color options. Joyetech eCab carrying case can hold a whole ecab kit and a spare Joyetech eCab 360mAh Li-ion battery. It is also suits for Joyetech 510 or eRoll mini e-cigarette. 6 color options. 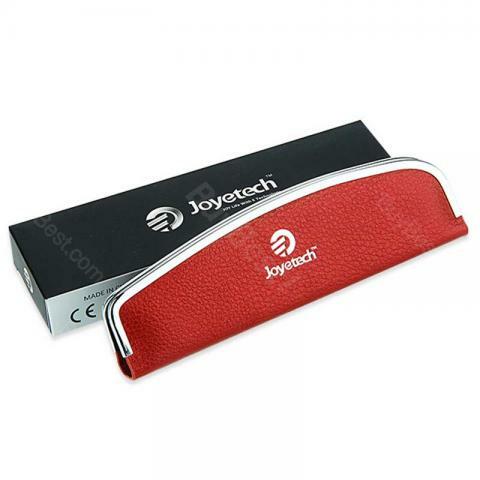 • Joyetech eCab carrying case can hold a whole ecab ecigarette and a spare Joyetech eCab 360mAh ICR10440 Li-ion battery. • It is also suits for Joyetech 510 or Joyetech eRoll mini e-cigarette. • Don't send to Korea and Italy! Joyetech eCab/ 510/ eRoll Storage Case is a storage case that can hold a whole eCab e-cigarette. It is available in different colors with a length of 160mm and height of 45mm. it comes with a joytech eCab 360mAh Li-ion battery. This joyetech is some thing that I don’t even know the word I can use to discribe, its so cool and has a removable case,convinient at all time, affordable in price I like the product. Very good product, I am satisfied. Alright, thank You.